Excel Esports is a British team. Their name was previously stylized exceL eSports and later exceL Esports. In 2018, after it was reported that negotiations with other organizations had failed, exceL was rumored to be joining the EU LCS as part of the 2019 European franchise program. On November 20, Riot Games confirmed exceL Esports as one of the ten partner teams for the LEC 2019 Spring Split. Excel signed a roster lead by experienced players Exile and kaSing as well as Expect, Caedrel, and rookie bot laner Jeskla. Following a 2-6 start in the Spring Split they changed around their roster bringing in rookies Special and Mystiques from their academy team instead of the veterans. This young roster could not turn the split around for them though and Excel finished in 9th place with a 5-13 record. February 20, Furndog steps down from on-stage duties. Unlimited joins from Excel UK to lead the team on stage. January 2, Furndog rejoins as a head coach. January 11, DuaLL and Venzer join. Aux moves to sub. May 17, Kruimel and DuaLL leave. AngelArcher leaves analyst role. October 15, Send0o joins ASUS ROG Army on loan. Quixeth leaves. December 4, Exileh (now Exile) joins. December 10, organization announces 10-man roster. Send0o's loan to ASUS ROG Army comes to an end. December 16, Jarge joins as strategic coach. December 18, Mapache joins as head analyst. Angel Archer rejoins as an analyst. December 20, Joel rejoins as Director of Esports. January 14, Tolkin, Nocturnal Plex, and ZiViZ join. April (approx. ), Tolkin, Nocturnal Plex, ZiViZ, and Joekerism leave. June 19, Shikari, Taxer, Kruimel, and Innaxe join. June 31, Reclamation joins as a sub. November 30, Shikari, Innaxe, and Reclamation leave. February (approx. ), Unsupportive and Sebla join. May (approx. ), Nutri joins. Barnetto moves to manager. Unsupportive, Sebla, Keys, Reecicle, and Wing leave. May 16, Samma and Zhandia join. October (approx. ), Lukezy joins. Zhandia leaves. December 17, roster is announced. Keys, Skudzy, Reecicle, Wing, and Barnetto join. Venzer Alexander Kostadinov 4Bot Laner Origen BCN 2018-01-112018-01-11 2018-12-112018-12-?? Tolkin Niklot Stüber 1Top Laner Aequilibritas eSports 2017-01-142017-01-14 2017-04-112017-04-?? Nocturnal Plex Reece Hall 2Jungler Retired 2017-01-142017-01-14 2017-04-112017-04-?? ZiViZ Erik Lövgren 3Mid Laner ViS Lions' Den 2017-01-142017-01-14 2017-04-112017-04-?? Joekerism Joe Kent 4Bot Laner Enclave Gaming 2016-08-072016-08-07 2017-04-112017-04-?? Zhandia Sander Skogstad 3Mid Laner MnM Gaming 2016-05-162016-05-16 2016-10-112016-10-?? Samma Vladimir Dimov 1Top Laner GPlay.bg 2016-05-162016-05-16 2016-09-112016-09-?? Nutri Billy Wragg 5Support Last Remedy 2016-05-112016-05-?? 2016-09-112016-09-?? Skudzy Serge Huleani 2Jungler Enclave Gaming 2015-12-182015-12-18 2016-11-112016-11-?? Unsupportive Adam Hawksworth 5Support UK Randoms 2016-02-112016-02-?? 2016-05-112016-05-?? Sebla Sebastian Walton 4Bot Laner UK Randoms 2016-02-112016-02-?? 2016-05-112016-05-?? Keys Kieran John 1Top Laner Retired 2015-12-172015-12-17 2016-05-112016-05-?? Reecicle Reece Sharratt 3Mid Laner Retired 2015-12-172015-12-17 2016-05-112016-05-?? Wing Jamie Duell 4Bot Laner Retired 2015-12-172015-12-17 2016-05-112016-05-?? Barnetto Ryan Barnett 5Support Manager 2015-12-172015-12-17 2016-05-112016-05-?? 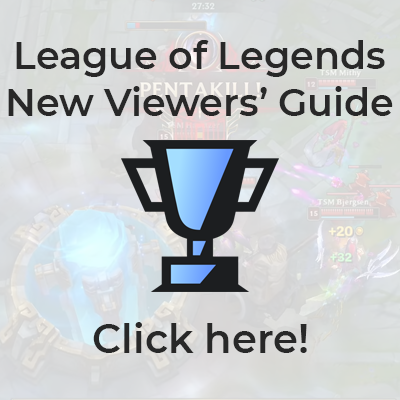 For a full chart listing all LCS players, click here. This page was last edited on 15 April 2019, at 14:51.